Facebook is king. Don’t take my word for it, just ask someone if they have a Facebook account. Chances are that they will say “Yes!” Facebook and other social media channels have replaced our address books, photo albums, and even started to replace more traditional forms of advertising. By using Facebook as a marketing platform, you will be able to reach out to a huge group of potential clients for a fraction of the cost it would have just a few years ago. So let’s take a look at the reach, power, and ROI (Return-On-Investment) of Facebook Ads! In Florida, it is estimated that there are over 9.3 million active Facebook users. If you have a statewide company, no matter what industry you are in, getting access to those users will open you up to a huge audience. And that’s just the kind of access that Facebook Ads will give you. How’s that for reach? Facebook’s reach and power are growing by the day. How can you get the best ROI? Given how many people use Facebook on a daily basis, it’s power becomes obvious. No matter what your content, whether it be blog posts, photos, or cat videos, it can find a home and an audience on Facebook. The real trick is building a substantial Facebook following. Without followers or fans, no one is going to be able to find your content in the mountain of posts by other companies and users. Unless, of course, you are smartly using Facebook Ads! There are so many different types of Facebook Ads, each one offering you a variety of advantages. There are traditional Facebook ads, that you create using the Facebook Ad Manager. Here, you can target specific audiences to sell products or services. You also have the options of boosted posts. These are regular Facebook posts that you can pay to “boost” so they are seen on more people’s newsfeeds. These can be useful if you are looking for more engagement with a blog post or infographic you published on your website. For small to medium-sized businesses, you need to make sure that every single dollar you spend is used wisely. You can’t afford to waste your money on hundreds of different ads, in hopes that one of them might land. It’s not a good use of your funds, and certainly isn’t a good use of your time. The trick to advertising as a small business owner is to focus in on your audience, specifically targeting demographics and regions to get their eyes on your ads. This is one of the reasons why Facebook Ads is such a great investment, their audience targeting features are second to none! You can choose to target your ads based on age, gender, education, relationship status, location, and specific keywords. You can also target people who liked similar pages and companies like yours, guaranteeing that your specific audience will be able to find your ads and be directed to your website’s sales page. Another fantastic reason why Facebook Ads show such a great ROI is because they are not easily blocked by ad blockers. Ad blockers are commonly used to hide ads that are placed on websites. They are actually quite effective. But when you pay for a Facebook Ad, it is often right in the newsfeed of your audience. These ads are not easily blocked, so you will be getting your money’s worth in a way that you sometimes wouldn’t with more traditional internet ads. And the cherry on the top of the ROI cake is that you will actually be given detailed information and statistics about how well your ads performed, and with who. If one type of ad performs well, that’s great information to have. If another type ad performs poorly, that’s even more valuable! Facebook Insights will allow you to better tailor your future ad campaigns, further improving their effectiveness. 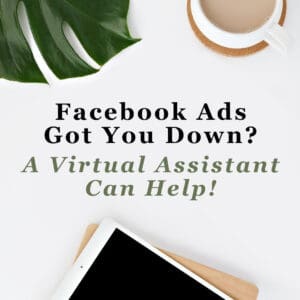 If you want the best ROI on your Facebook Ads, you should use a virtual assistant! One of the best, and simultaneously most frustrating, things about Facebook is that it is always changing. Their programmers are constantly refining and creating new algorithms to determine what their users see in their newsfeeds. New features are constantly being introduced, while old features occasionally fall to the wayside. If you are a small business owner trying to manage your own Facebook advertising campaign, it can be difficult to keep up. So why not hand it off to someone whose job it is to keep up with every change that Facebook makes? I know the platform super well, and I know just how to create ads that will reach the exact people you want visiting your website. Contact me today and we can get started crafting a great Facebook Ad campaign! 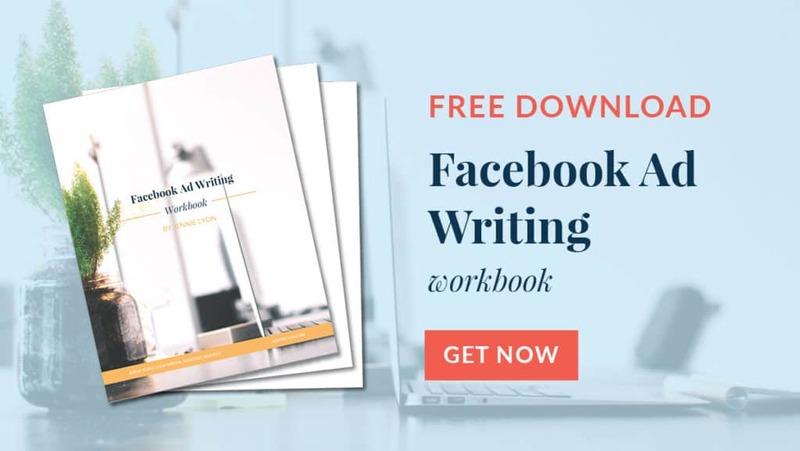 You can also download my free Workbook: How to Write Your Own Facebook Ads to get started!